What do you think of when you think of Lady Jane Grey? 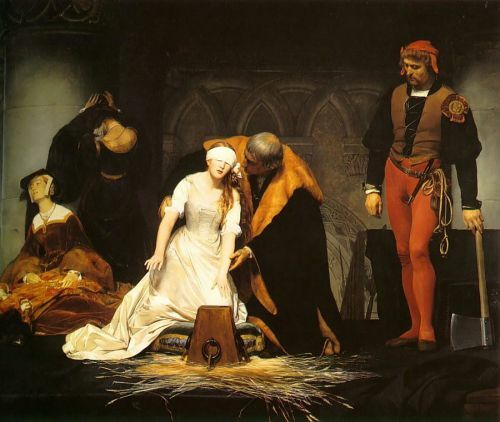 I instantly think of that horribly famous painting, ‘The Execution of Lady Jane Grey’ by Paul Delaroche. I remember seeing it first when learning about the Tudors at school and being struck by the sheer whiteness of Jane and her dress, and the way she looks almost like a bride – the white signifying purity and innocence. She also looks incredibly young and vulnerable, partly because of the whiteness but also because she is reaching, quite calm and utterly malleable, for the block. The painting is upsetting but it is not graphic or violent. The executioner waits patiently. There is no struggle, no fearful eyes, no blood. Only Jane, kneeling so obediently and being gently guided to the block, with her white hands outstretched. Sisters of Treason opens with Jane’s execution. Her mother, Frances, is guided through the crowd by her friend Levina. Levina holds on tight to Frances’ arm as she seems about to faint or vomit at any moment. They stand a little way back, to shield Frances a little from the sheer horror of what is about to happen. It is a very intense opening scene, but perfectly constructed by Elizabeth Fremantle. I was right there with the two women, dreading the moment and filled with fear for Jane. They are perhaps represented in the painting by the two women on the left, clearly in distress at the scene. But look how calm Jane is – in the novel we see her moments before her death when she is allowed to see her mother for a few moments. She speaks of the will of God and how she is able to accept her fate. She is remarkably calm, and utterly reassured by her faith in God. This is a characteristic that comes out again and again as her two sisters remember her throughout the rest of the novel. 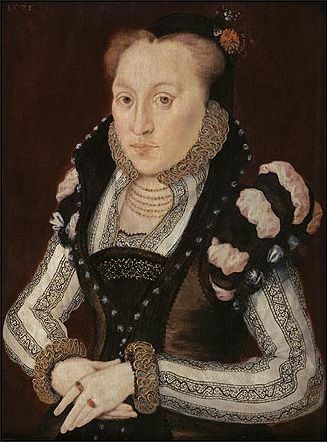 Edward VI named Jane as his successor over his own sisters (both of whom were declared illegitimate by Henry VIII), and this then gave Jane’s sisters a claim after her death. However, though Katherine had supporters throughout her life, neither sister seems to have had any particular ambition to be queen. Given Jane’s fate, Fremantle paints them both as rather cautious when it comes to the idea that either of them might claim the throne. Jane’s death was ordered by Mary Tudor. She was called Bloody Mary for all the Protestants she had killed, and here she lives up to her nickname. Fremantle does not just portray her as a bloodthirsty tyrant however; rather she is a strange combination of ardent Catholic faith and a slightly weak-willed woman who is desperate to please her Spanish husband. There is a very telling scene, seen from Mary Grey’s point of view (who is sitting on the Queen’s lap, rather reluctantly, like a pet), where the Queen is given an ultimatum – Felipe of Spain will only marry her if she orders Jane to be executed. She ums and ahs but gives in very quickly, talking about Mary Grey as if she were not there, and worrying more about her position than her morals. Here we see the terrible reality of being the monarch – a constant dichotomy between personal feelings and ‘royal feelings’. Mary Tudor might not have wanted to see anyone die, but she wanted to marry Felipe. She makes a choice. Choices seem to me to be an important theme in Sisters of Treason. Edward VI chose to name Jane his successor, Mary Tudor chose to overthrow her, and both Katherine and Mary Grey make choices that will alter the paths of their lives. Katherine is passionate and impetuous, more focused on her marriage prospects than the possibility of Mary Tudor deciding she wants her ‘out of the way’ like Jane. Though it is wonderful to see her girlish delight in thoughts of her future, it is also jarring given her age. At thirteen she knows how to flirt and get a man’s attention. We are reminded of the youth of all three Grey sisters and how in this world you are never too young. Mary Grey was ostensibly Katherine’s opposite (as the author states here). Wise beyond her years, stoic and practical, she is often the one to remind Katherine not to be impulsive and get carried away by her feelings. Crucially, as Fremantle also states in the piece linked to above, Mary Grey was both an insider and an outsider. She was a member of the court and Queen Mary treated her like a pet, making her sit on her lap and rub her sore hands. 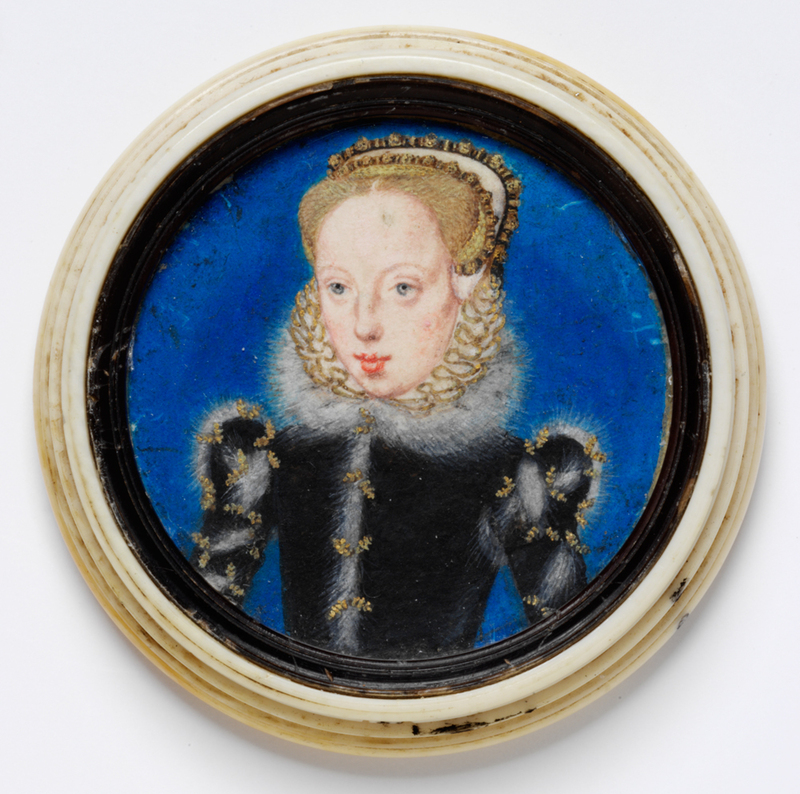 As a cousin of the Tudors she was also kept close by Queen Elizabeth, eventually becoming one of her Ladies-in-Waiting. So Mary Grey was close to the Crown, close to the court dramas, the gossip and the intrigue; but she was never ‘one of them’. 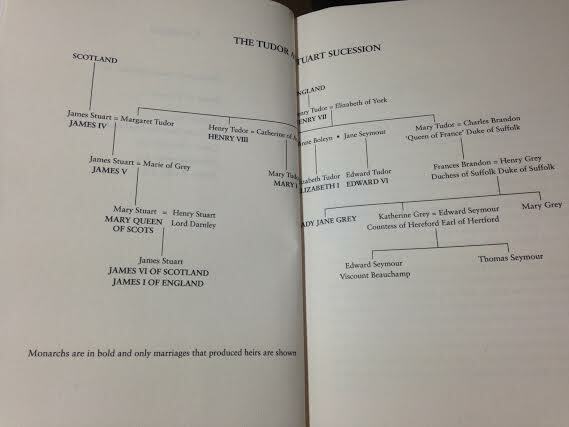 Quite a lot of time passes in Sisters of Treason, and before long Elizabeth I is on the throne. History is fascinated by her, and Fremantle is no exception. We first see her before she is queen, when Katherine is sent to be one of her Ladies. Elizabeth is instantly strong and bold, and somewhat intimidating. She seems to have only been strengthened by her years in captivity at the hands of her sister, and is determined to rule as she sees fit. As Queen she is confident, almost arrogant, and those around her never quite know what she will say or do next. Of course they all wonder when she will marry, and gossip abounds at her closeness with Robert Dudley; and one feels that she just loves all this gossip and worry. She is strong enough not to relent (unlike her sister) and takes pride in her choices, which is undeniably admirable. Though Elizabeth is depicted her as firm and somewhat harsh, I still liked her. I’m warning you now – while this book ends on a happy note, it does not necessarily have a happy ending. Much sadness comes before that happy moment, and both the Grey sisters suffer greatly. Queen Elizabeth is unfortunately the source of much of that suffering as the sister defy her more than once. At times I wished they would make life easier for themselves, but I also admired their bravery and determination. Frankly they should be paid more attention to when it comes to examining this period of history, as they are both fascinating people and have very unusual and engaging life stories. To be honest I think Sisters of Treason was a little overly long, but apart from that it was great. I learned new things, was thoroughly entertained, and a whole new world was opened. Published by Michael Joseph, an imprint of Penguin, in May 2014 (UK). My copy was kindly provided by the publisher for review.